First month has already passsed. That was really fast. But that is what happens when you have limited time for unlimited activities – which Greece for sure gives you, and which, for sure gives you a project in Molecular Dynamics (MD). That is how the exemplary MD system looks like. 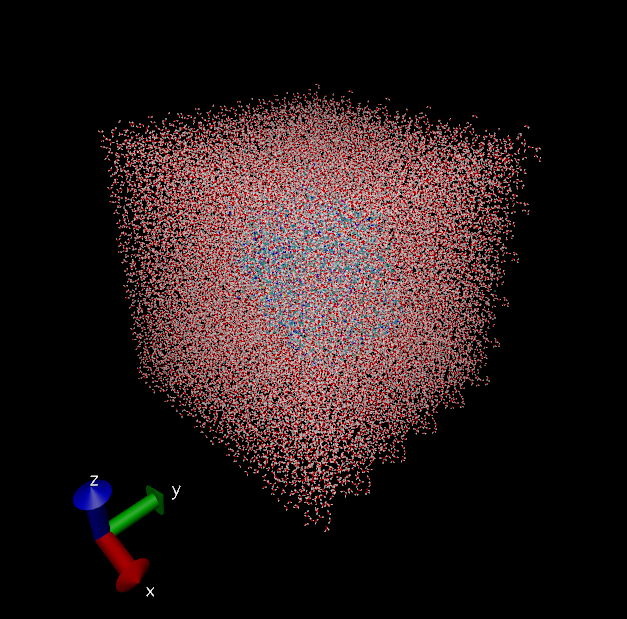 Protein surrounded with water in a box of certain dimensions. You can see red atoms as oxygen, white – hydrogen, blue – nitrogen etc. Seems easy, right? 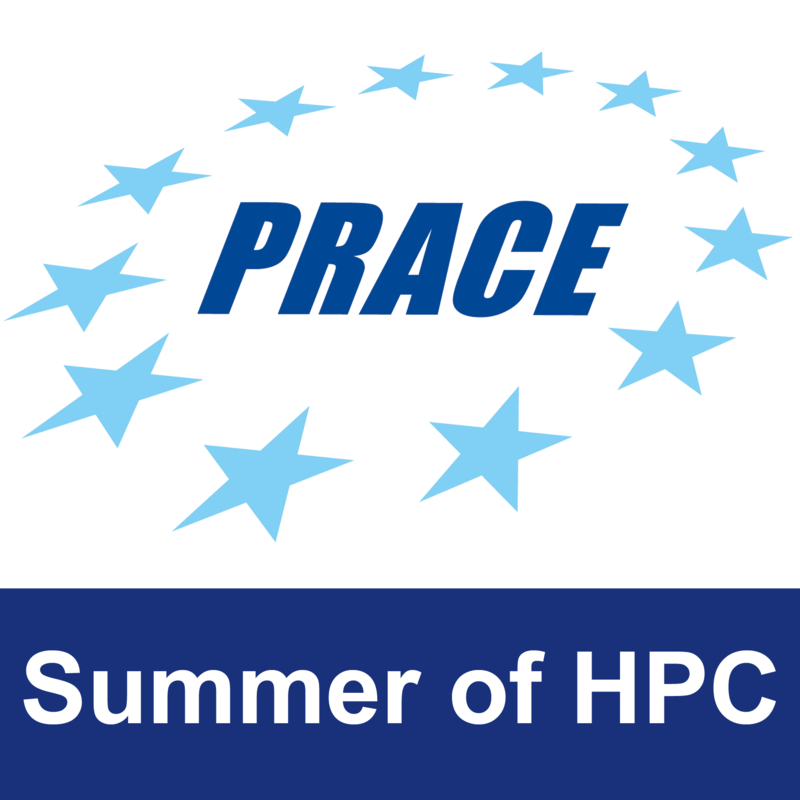 What I described above is a fun part – when the simulation is already running, HPC computers do the work for you and you don’t have to worry. There is only one condition: “garbage in, garbage out”. This is probably the most principal rule of computational chemistry – if you want a simulation to be reliable, you have to prepare it very carefully. How do you do that? Well, as it is the first time I have dealt with this methodology and such a big system I had to learn about MD and software used for preparation and simulation first. That included reading a lot and performing a few tutorials: Schroedinger’s Maestro, NAMD, Gromacs. If you are familiar with these, you can start the real work: creating the system. What does it mean? 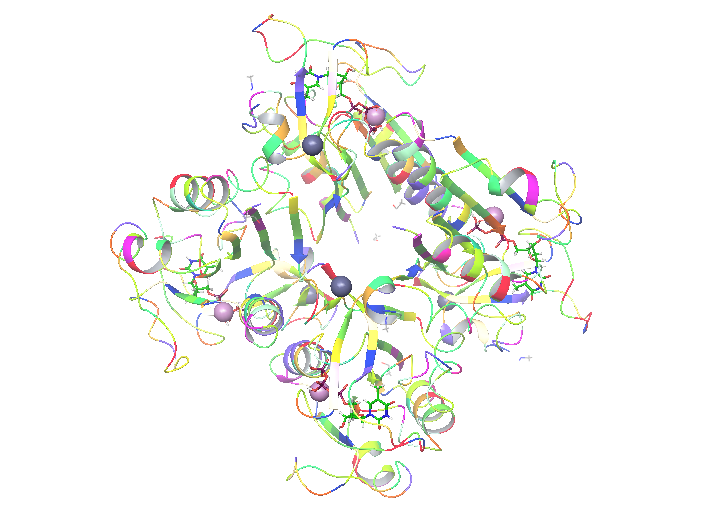 The initial structure of the protein is obtained from structural biology studies and there are usually a few available structures for a protein. Every one of them is a bit different – they might have different ligands, different residues missing. Your aim is to search the literature and find the best one – and if none is perfect – think about how to make it perfect from homology modeling – which is basically taking what you need from different protein structures and mixing it to one. My enzyme is ready for further steps! on the dT binding site. In order to describe both binding sites and changes upon ATP binding we had to find similar protein that would contain substrates/products or different inhibitor bounded in a way that both binding sites are solved. Here, I found similar, although not human thymidine kinase (2orw) that contained inhibitor 4TA built both from both substrate sites – deoxyadenosine and deoxythymidine, connected with 4 phosphate groups. That makes both binding sites properly occupied and the inhibitor easy to change for substrates (just delete one of the phospates) for further simulations if needed. Here, again Maestro helped to overlap the structures and change TTP to 4TA. This, along with 3 extremely intensive days in GRNET with the absolute master of MD (and patience) – Dimitris Dellis, where I’ve learnt about HPC infrastructure here and how to prepare remaining steps of simulation and run it on ARIS is what I did for last 3 weeks. Now, that the protein is ready, I have to transfer it from Maestro to Gromacs and start a simulation. That’s a plan for this week. Keep your fingers crossed! I will report how it went, soon. Wow, just preparing the simulation is a lot of hard work! Keep it up and I’m sure you’ll succeed:) The sky is your limit! Ah, that’s true. Was hard. But definetely worth it! Maybe you should try applying for the program next year?